David Jeruzalmi, Professor of Chemistry and Biochemistry in the City College Center for Discovery and Innovation and his team have identified and visualized a three-dimensional model of a new target AND a helicase protein that can modify it – opening and closing it (like a vault) at the origin of DNA replication. The Division of Science at City College has a proud legacy and a proud future. Ten Nobel Laureates studied science and mathematics at CCNY. World-renowned physicists like Myriam Sarachik, who serves on the governing council of the National Academy of Sciences, and well-known author Michio Kaku teach our students, and distinguished professors conduct cutting edge research on everything from climate change to structural biology to sustainable energy, and everything in between. City College students, even as undergraduates, have an unprecedented opportunity to work in these labs. In the past 8 years the Division has produced two Rhodes Scholars and several Goldwater and Truman scholars, as well as graduates who have gone on to the most prestigious graduate schools, supported by grants from the National Science Foundation to pursue their research. Science students at City College have a wide array of degree choices. They enroll in Bachelors and Masters of Science degrees in the fields and programs listed below. The PHD is offered jointly by the City University of New York and City College in the laboratory-based sciences: biology, biochemistry, chemistry and physics. For over 150 years, The City College of New York has provided access to excellence in the scientific disciplines for the diverse population of New York City, molding sharp minds from all backgrounds into a potent STEM workforce to meet national needs. 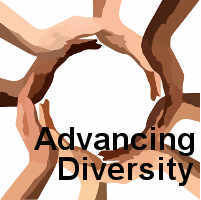 Today, the Division of Science aspires to ensure a diverse and engaging environment, knowing that the creative energy and innovative insights that result from diversity are vital for the intellectual rigor and social fabric of the College, and are requisite for a highly effective scientific workforce of the future. As a scholarly community, the Division welcomes people of all racial, ethnic, cultural, socio-economic, national and international backgrounds, without regard to religion, age, gender, gender identity, sexual orientation, or political affiliation.